Backup emergency power doesn’t get to take time off. It needs to be ready at a moment’s notice and run for days — even weeks — without interruptions. For both home and small business owners, power outages can be inconvenient at best or expensive at worst. You need to be able to regularly monitor the status of your backup power and be aware of issues as soon as possible. 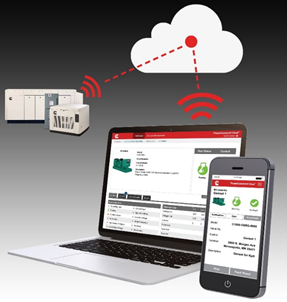 What if you could not only monitor your system’s status, but also receive critical notifications before issues occur and control it from anywhere at any time? With Cummins’ remote monitoring services, you can. A small battery backup or UPS on the customers internet equipment is essential to ensure the generators connection to the cloud is not compromised during an outage, or even during a power transfer. Having uninterrupted power for the customers internet equipment will greatly reduce the likelihood of a missed event notification from the remote monitoring system.